Nowadays, internet users expect certain things. One of the most important of these things is the page speed. They expect to access your website and navigate through the pages in seconds. If there is a delay, they will most likely visit the website of one of your competitors. Surveys show that a delay of as little as one second has the potential to reduce the number of page views by 9 percent. Slow speed also affects the ranking of a site. To improve the speed of your website, you can seek SEO services. An SEO company that offers on page optimization can help you remain in the top rankings of your category. With many consumers using mobile devices, it is sensible that they want to use web site that loads in less than five seconds. You need to note that as you concentrate on mobile SEO, your competitors are doing the same thing. In order to achieve success, you should work with an experienced SEO company such as GBIM Technologies Pvt. Ltd. We have offered search engine optimization services since 2005. We can give your web pages the boost of speed required. Page speed is the amount of time that a web page takes to load completely. Pages that load fast enhance the user experience. Page speed is one of the search engine optimization elements that can be controlled. We can assist you to speed up your website fast, easily and affordably. When the pages of your site load fast, users will be able to search for the products or services you offer and fill in forms easily. If you make profits from ads, a faster page speed will allow users to view more pages. You can realize an increase in conversions and increase revenue for every second you save. Reviewing the embedded videos – Although videos are known to boost rankings, they can also slow down your site. One of the ways to boost speed is saving videos with your web host rather than embedding them. Use a good web host – Using a cheap web host can slow down your website. If your site is slow, you may consider upgrading your plan or switching hosts. Test your website – You can use different browsers to test how fast your site loads and then make changes. Note the load speed after changes. Optimize apps, widgets, and plug-ins – It is essential to ensure that add-ons are not slowing down your site. You should also watch out for maps, calendars, social buttons and comment threads. Reduce the number of ads – Having too many advertisements on your website will degrade the user experience and reduce the load speed. Compress the images – High-resolution images do not offer much value when you consider that they require a lot of load time. Revisit your theme and clean up your code – If the HTML/CSS code is too dense, your web pages will slow down. A theme that is unnecessarily heavy or complex can also slow down your site. 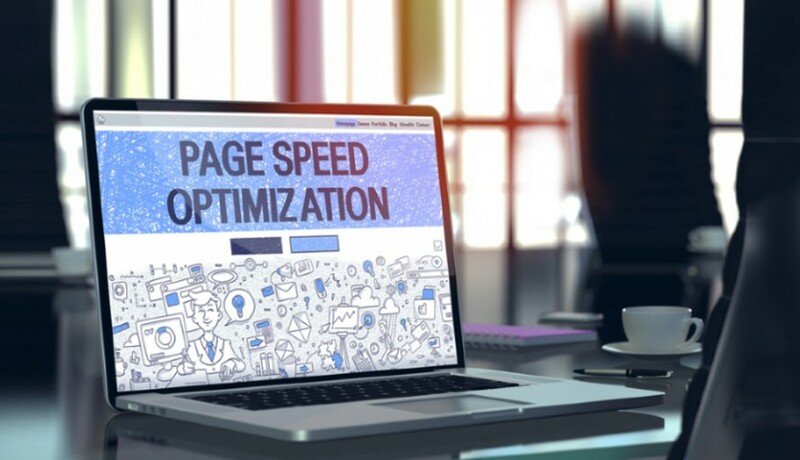 Page speed is essential to both search engines and internet users who rely on it to help them find relevant information. At GBIM Technologies, we can audit your web pages for speed and optimize them so that they will load faster. By opting for professional SEO Mumbai dwellers can increase conversions, boost revenues, achieve better search rankings and improve page views.